February 4, 2014 by David Shields. Average Reading Time: almost 3 minutes. On January 2, 2014 Jim DeLittle passed away peacefully at his home in Fulford just south of York, England after a long illness. He was 78. 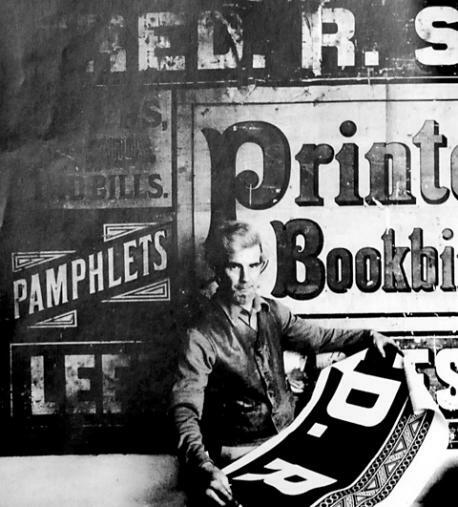 Mr DeLittle, grandson of the founder, was the last owner and operator of the last wood type manufacturer in England. 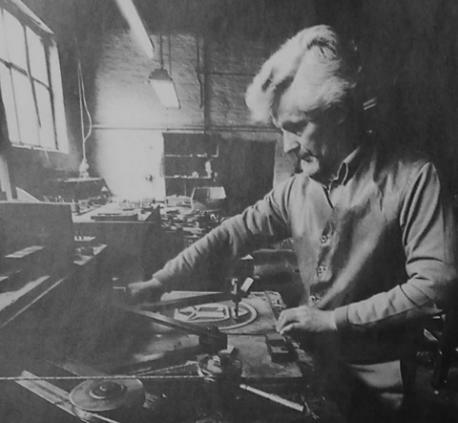 The DeLittle company was founded in 1888 by Robert Duncan DeLittle as the R D DeLittle “Eboracum” Letter Factory. The wood type manufacturer was known for their unique production of “White-Letter” they named “Eboracum” after the Roman name for DeLittle’s native city of York. Claire Bolton wrote the two definitive texts on the company DeLittle, 1888–1988: the first years in a century of wood letter manufacture, 1888–1895 (Oxford: Alembic Press, 1988) and the earlier DeLittle: an English wood-letter manufacturer; including a brief history of the development of wood-type. (Winchester: Alembic Press, 1981). “The Eboracum Letter Factory’s first premises were on the site of the former Presto supermarket in Railway Street (now George Hudson Street)…”. 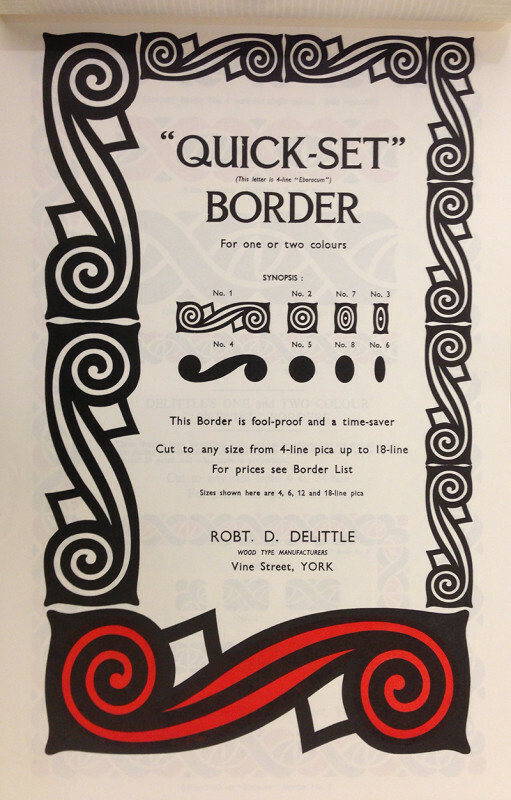 At the turn of the century the company moved to a newly built factory on Vine Street, off Bishopthorpe Road at which time the name was changed from The Eboracum Letter Factory to Robert DeLittle Wood Printers Type Manufacturer.2 Starting in 1940, DeLittle also cut wood type for Stephenson Blake, the leading type foundry in the United Kingdom. DeLittle ceased operation in 1998. The Type Museum in London now houses the archives and machinery of the firm. Jim De Little at the company’s router-pantograph. Date of the photo unknown. Robert Duncan DeLittle, founder of the wood type manufactory, holding his grandson, Robert James (Jim). 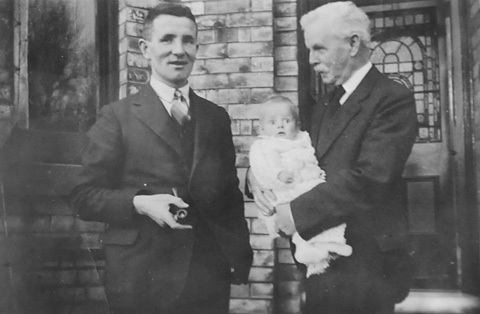 Jim’s father, Robert Geoffrey, on the left, holding his pipe in 1935. Special thanks to Dafi Kühne for first word of Mr DeLittle’s passing and the initial links to the official obituaries.